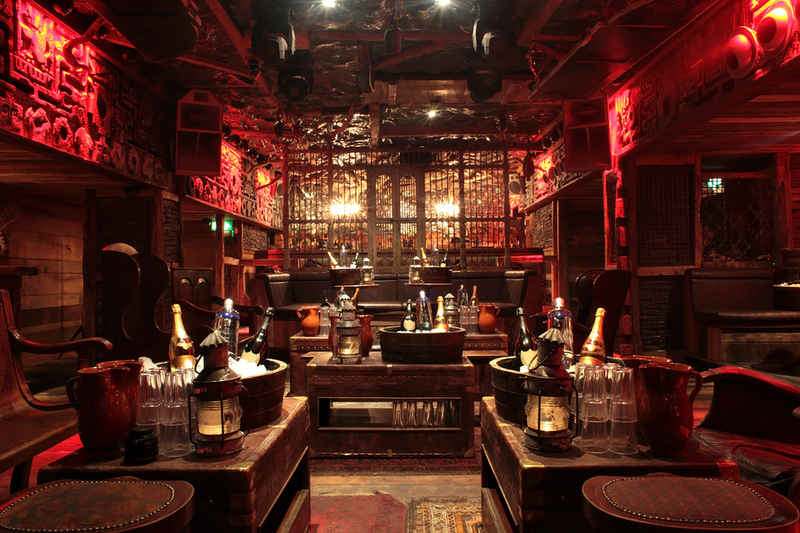 David Beckham, One Direction and Pixie Lott have all partied at Chakana, a late-night Inca-inspired lounge bar brought to you by Nick House, the entrepreneur behind famous London nightclubs Mahiki and Whisky Mist. Since opening at the end of 2013, Chakana has become something of a celebrity hotspot with well known celebs like Lindsay Lohan and Gordon Ramsay entertained by resident DJs including London-born Andrew Dax, a familiar name on the Ibiza scene. With Argentinian curator Augusto Rossillo on board, The Inca theme is felt in the decor - think heavy wood, rich golds and reds, and snakeskin banquettes - as well as the drinks menu which features pisco's, rare tequilas and dark rums spiced up with Chia seeds, maca root, Inca berries and coca leaves - all super foods of the Andes. Chakana clubs, bars, cabaret nights, casinos and interesting nightlife. What are the best dining options near Chakana London? Chakana gyms, sporting activities, health & beauty and fitness. The best pubs near London Chakana. Where to have your meeting, conference, exhibition, private dining or training course near Chakana. From cheap budget places to stay to luxury 5 star suites see our deals for Chakana hotels, including Hyatt Regency London The Churchill from 76% off.